The lovely, well worth visiting, St Oswald's Church, Oswaldkirk dates from the 7th century when a simple wooden structure was probably built dedicated to Oswald who was killed in battle in AD 642. The wooden structure would probably have been replaced by a stone structure which the Normans rebuilt, or they started from scratch? 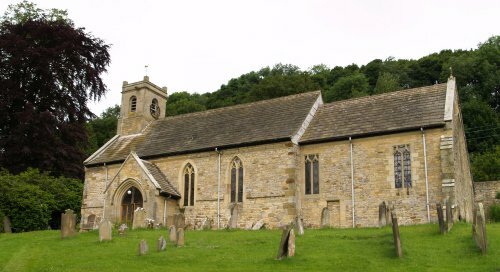 Full details of the church are given in a detailed guide pamphlet so PLEASE purchase it and leave a donation for the upkeep of this historic building. 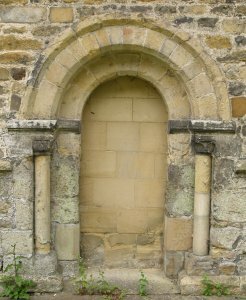 The blocked up early Norman doorway (11th-12th century) in the north wall by the tower and is readily seen as you enter through the gate from the road. 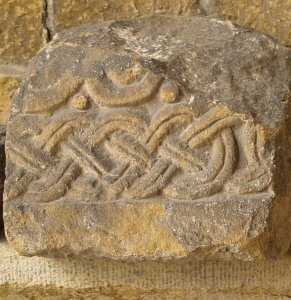 The 'Viking' stones in the porch date from the Anglo-Saxon period (left and right, 8th-9th century). 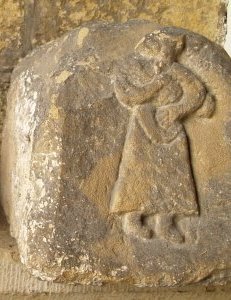 The picture on the right depicts a mother and child from a Viking 'hogsback' tombstone and the centre picture is of a similar modern carving by the sculpture John Bunting of the Virgin and Child. The chancel-choir stalls viewed from the nave with the east window above the alter (see below). 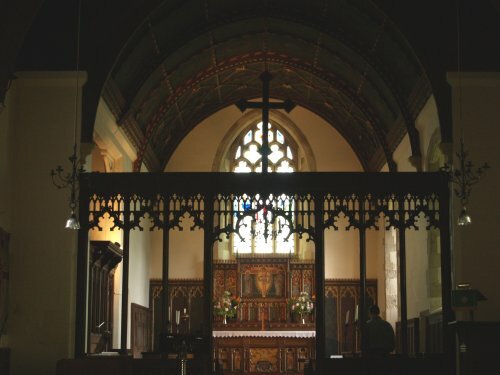 The Alter and choir-chancel roof are beautifully painted and a highly carved rood screen was also added in the late 19th century. 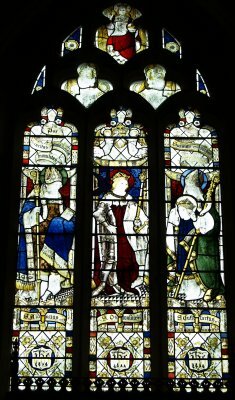 The beautiful east window depicts aspects of the life of Saint Oswald from the time of the Anglo-Saxons, through the medieval period until the present time (dates?). The pamphlet describes the life of Oswald and his association with St Cuthbert and St Aidan (both of Lindisfarne). 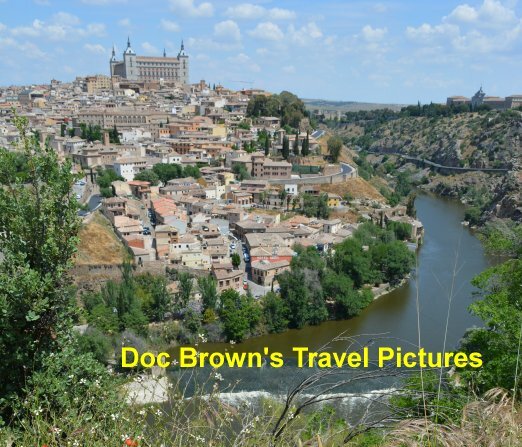 After Oswald's death in battle, his head was placed in the coffin of St Cuthbert to avoid a Viking sacrilege and eventually after much wandering to keep it safe, the coffin eventually arrived on the banks of the River Weir where Durham Cathedral was founded around the holy remains.